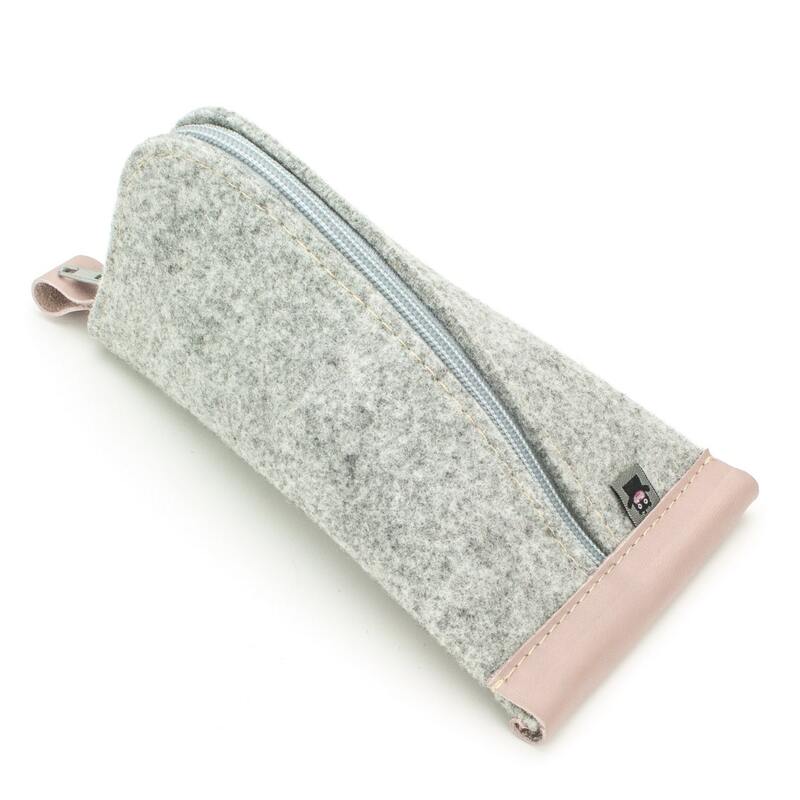 The pouch is made of 5 mm thick wool felt (LIGHT GRAY); collar and loop made of natural leather (ROSE PINK); zipper (LIGHT GRAY). Note: Because every screen is different the colours of felt, leather and zipper you see on the photos could be slightly different in person. WHAT MAKES OUR MULTI-PURPOSE BAG/POUCH UNIQUE? Each multi-purpose bag is handmade ​​in Slovenia. The compact design provides it safety and stability, thus allowing storage on practically any surface, be it a sink, small shelf or any other unstable or uneven surface. 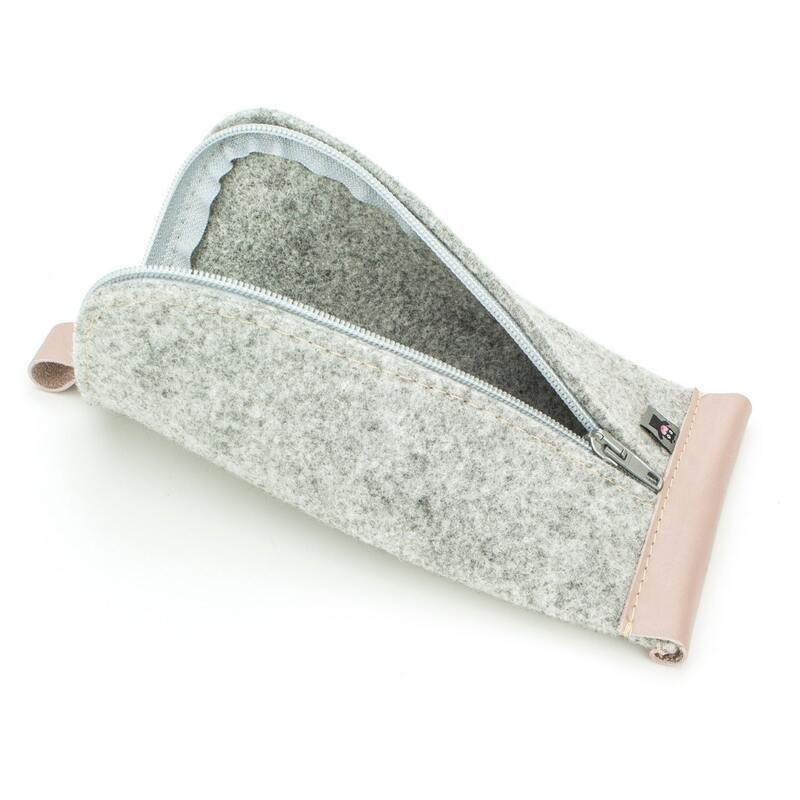 The durable 5mm thick wool felt the bag consists of allows you to safely store a variety of items. It can be used to store any kind of cosmetic product, a phone charger or even serve as a pencil case. 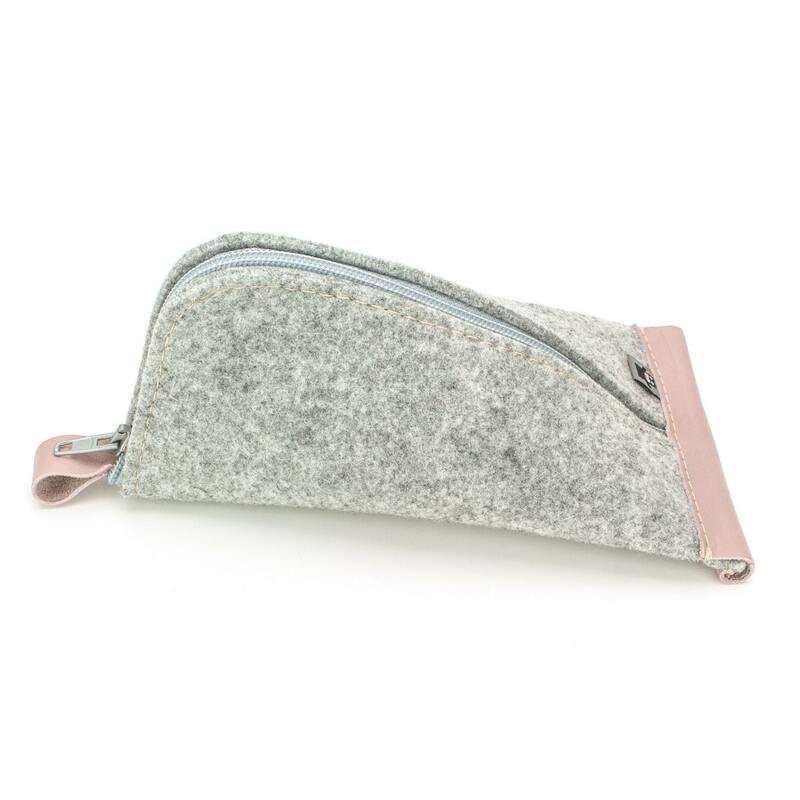 The small pouch is suitable for storing make-up or other small items intended for everyday use. 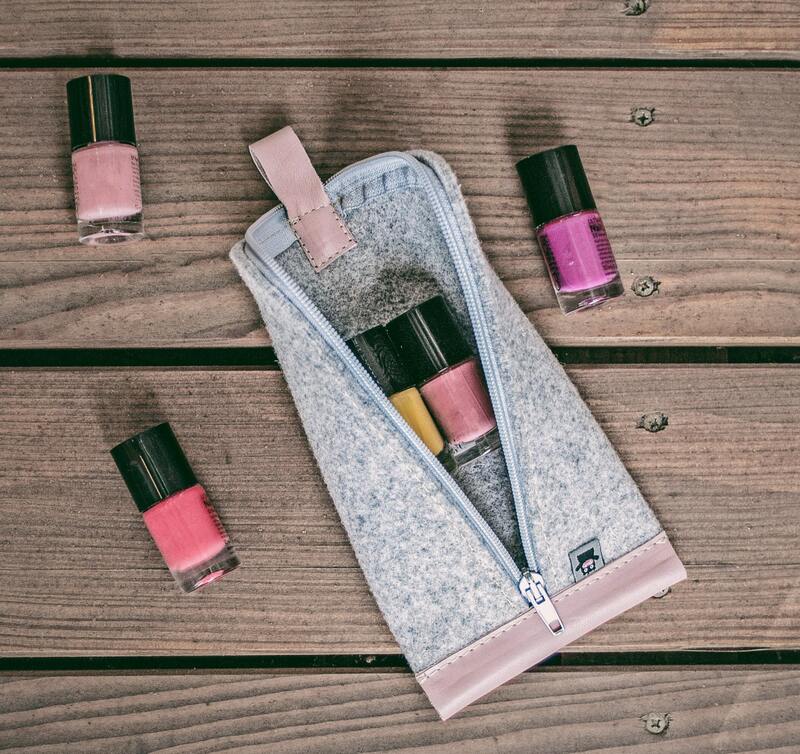 It is small enough to be placed into your handbag, making sure your items stay organized in one place. Additionally, it allows the storage of phone chargers, USB keys and other essential items. The small pouch can also be used as a pencil case, having enough space to store colored pencils, crayons and other small school supplies. The large bag is suitable for storing larger items such as shampoos, shower gels and other cosmetics. It can be used to store multiple chargers for your phone, USB devices or other essential items. Its durable, high-quality zipper runs along the entire length providing great visibility and easy access to the contents. 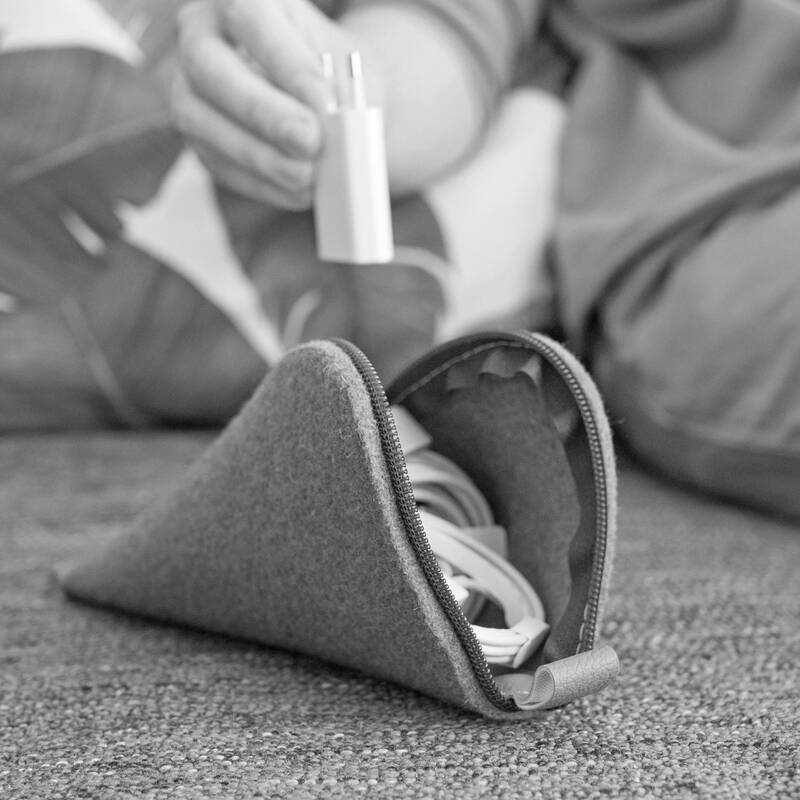 Wool felt is a very durable and breathable material. The thickness of the material (5 mm) provides extra protection for the items inside the bag. All bags are lightweight and provide orderliness to your belongings anywhere you go. They are designed to stand on either flat or uneven surfaces. The leather loop can be used to hang the bags in convenient places. Want to add a custom touch? 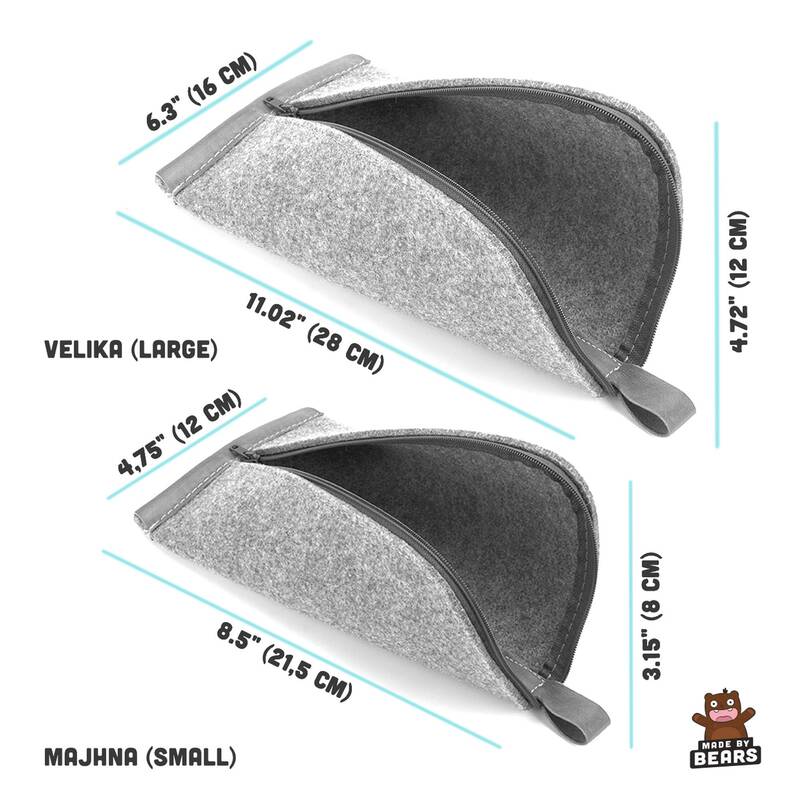 You can choose between different felt, leather and zipper colours and different designs of patches. Request a custom order or contact us if you have any other questions.